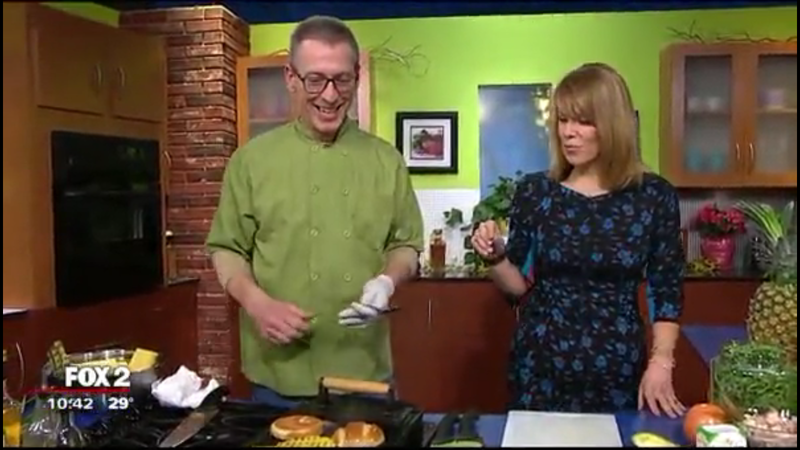 Our own Brad is going to be on Fox 2 news tomorrow morning once again! It’s 9:00 am for Meatless Mondays, don’t miss it! Combine the flours, baking powder and salt in a bowl. In a separate bowl, whisk together the milk, egg and 1 tablespoon of the melted butter, then whisk into the flour mixture. Heat 1 tablespoon of the butter in a medium saute pan and drop the batter into a hot skillet, 1 tablespoon at a time. Cook over medium low heat until bubbles form on the tip side of the blini, around 2 minutes. Flip and cook for 1 more minute or until golden. Repeat with remaining batter. It’s a good idea to clean the hot pan with a dry paper towel between batches. Set aside. 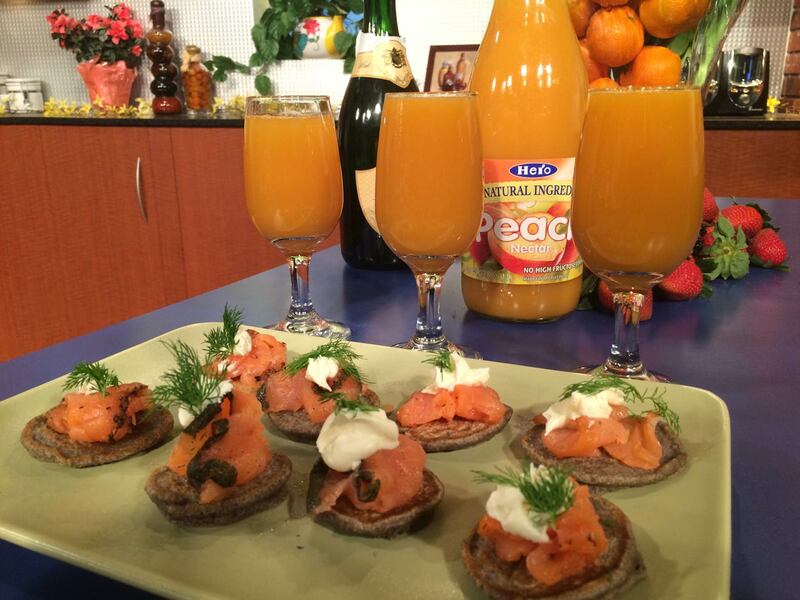 To serve, top the blini with a piece of smoked salmon. Add a dollop or crème fraiche or sour cream and a sprig of dill. A recipe for a very easy, delicious drink to enjoy with your blini. ¼ part champagne – doesn’t have to be pricey since you’re mixing it up! Pour in a glass and enjoy.